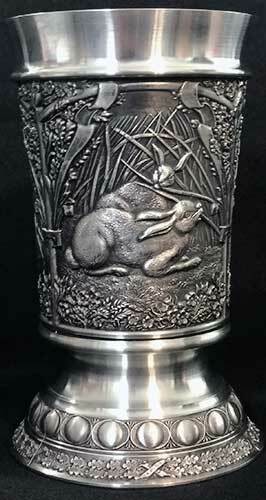 This Irish tankard features pewter construction that depicts rabbits embossed on in three woodlands scenes. 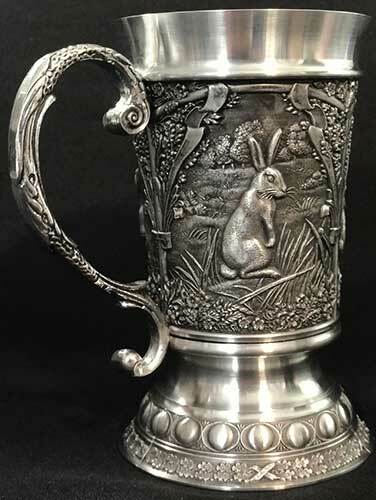 The hare tankard measures 3 1/4" wide at the rim x 5 1/4" tall; it holds 16 ounces. 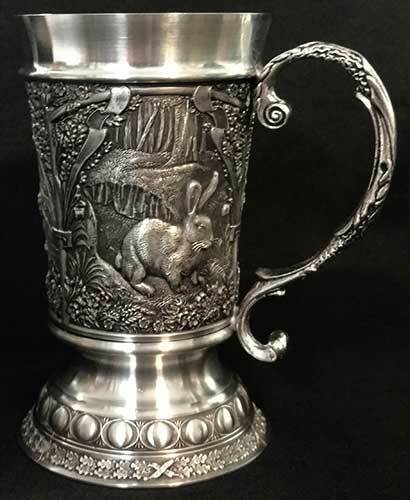 The pewter tankard is made in Ireland by Mullingar Pewter and it is gift boxed, complements of The Irish Gift House.